Located near our Apple Orchard, our outdoor amphitheater is perfect for your next event. With seating for up to 500 people, the options are endless as to what this space can transform into. 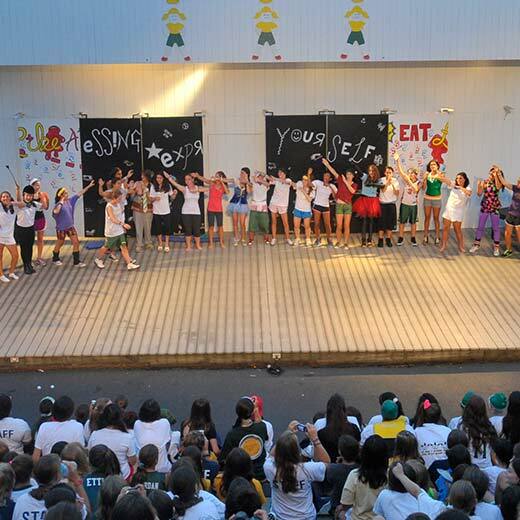 Circle up your friends for a talent show, gather your participants for an outdoor presentation, or sit down and relax to enjoy an outdoor movie. 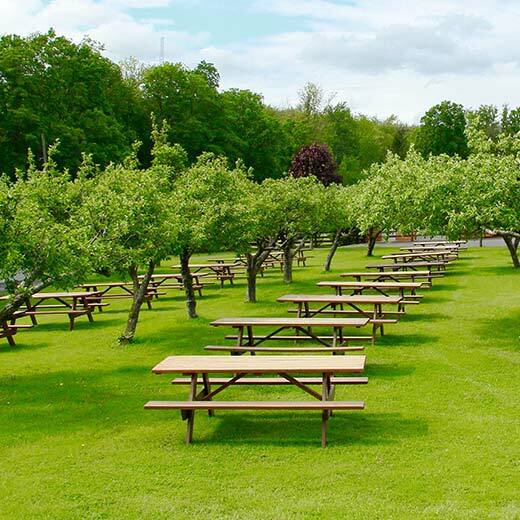 The Apple Orchard’s shady picnic tables provide the perfect place for your outdoor meals. With its close proximity to our dining hall, its picturesque location provides the ideal spot for your rehearsal dinner or bbq lunch. 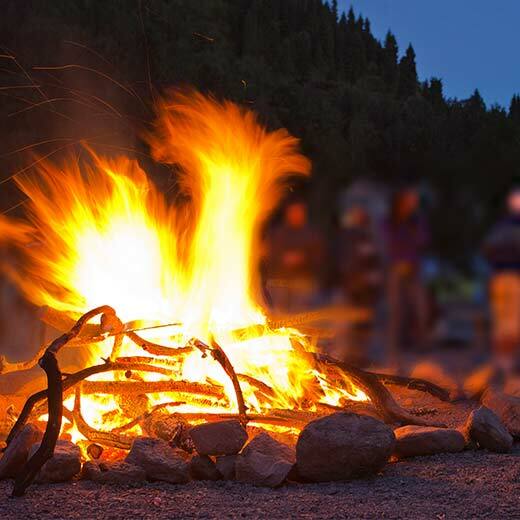 Relive your childhood at our lakefront campfire circle. It’s the perfect spot for stargazing, fellowship and s’mores! 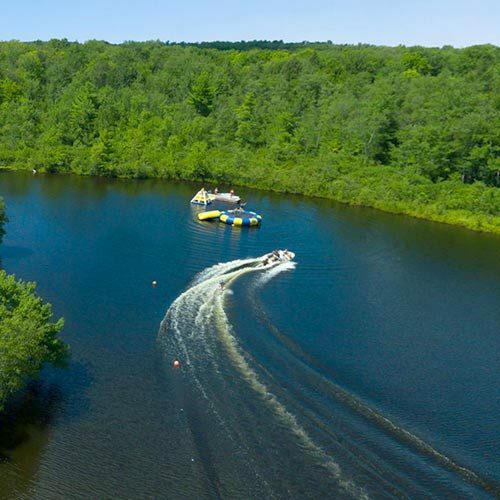 Our private lake is the perfect size for boating and canoeing. Depending upon the season, time can be set aside for your group to enjoy the lake with supervision from Bryn Mawr staff. Our lake also features several locations that are ideal for your wedding ceremony. Please visit our Special Events Page for more information. If you can throw it, catch it, hit it or spike it, we’ve got the field for it. 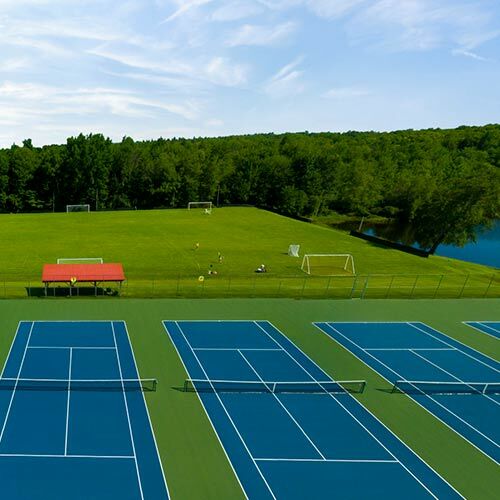 Enjoy an afternoon on our soccer fields, softball diamond, sand volleyball courts, indoor and outdoor basketball courts as well as our tennis complex. 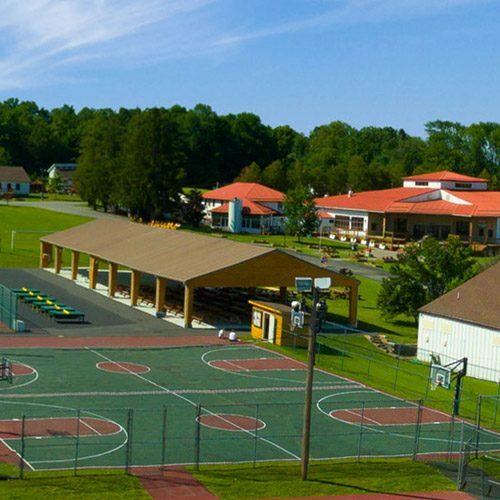 Our new addition to Bryn Mawr is our 50 ft by 140 outdoor pavilion, fully equipped with a sound system. The pavilion can be used for many functions including meeting space, breakout sessions, teambuilding, cocktail hour, and many more. The pavilion has the capacity of seating of 600 people.